Even an innovator with the pedigree of John Hufnagel doesn’t mind admitting he appropriated a few pages from Wally’s playbook. 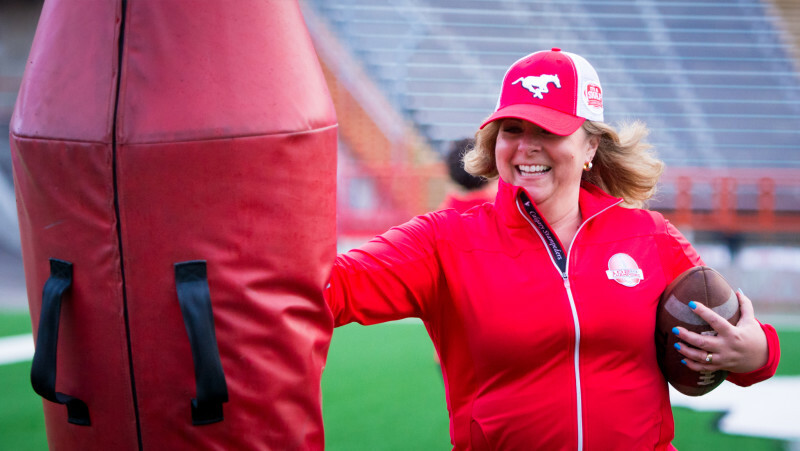 “Two things impressed me about Wally the years that I worked for him,” the Stampeders President and GM, a Wally Buono advocate, is reflecting. “And an organizational structure that’s required so everyone has a chance to be successful. We knew exactly what we needed to do. He didn’t really have to tell us twice. “I’m sure every coach that’s worked for him would tell you the same thing. “He developed a certain culture that I believe has remained. I know when I was out of the league there were some tough times in Calgary. But the culture he cultivated is the same type of program that when I came back, I mimicked. Buono returns to Calgary Saturday, to his old stomping grounds at McMahon Stadium, to coach for likely the final time here when his B.C. Lions skirmish with the Stamps at 6 p.m MT. “A big heart, Wally,’’ says Calgary’s current coach Dave Dickenson, a Buono quarterback both here and out on the West Coast. “I got to know him a little better when I started hanging out with him a bit outside of football. I’d have dinner with his family. A pretty impressive man. “It’ll be weird for the CFL not have Wally in it. I’m not sure what he’s planning on doing. “A lot of nostalgia. A lot of great memories. “When I got here, he already had the city and the program working in the right direction, doing the right things. “There are a lot of Wally stories. The guys would start these pools. Wally’d find a couple sayings that he’d use over and over. ‘C’mon, men!’ is one I remember. So we’d put together a pool, picking the saying for that day. Then we’d have an over/under – say 12 for the meeting. You always took the over with Wally. Buono, of course, retired from coaching once before, following the 2011 season, to focus on GM duties. He returned to sideline duties in 2016. “When he quit the first time,’’ says Stampeder equipment manager George Hopkins, a man who’s spent 47 years with the organization , “I didn’t, in my heart, honestly believe that he was done. “It sure will be different without him on the sidelines because he’s kinda … regal’s not the right word but it’s close. A real presence. He’s very … Wally. That’s all you need to say. At the helm of the Stampeders, Buono – the CFL’s all-time winningest coach – compiled a 153–79–2 regular-season record, finishing first eight times, missing the playoffs only once, and lifting the Grey Cup on three occasions. “What Wally accomplished here, what people don’t realize,” says Hufnagel in tribute. “is (we) had to go through a lot of adversity in the ownership end of things. “He was such a strength. He was the glue keeping everything running so we could keep going on with our business. When you go through a bankruptcy … then you had problems at the end of Larry Ryckman’s time as owner. “A lot of stuff going on. “Wally kept it even keel and did a lot of things behind the scenes to allow that to happen.